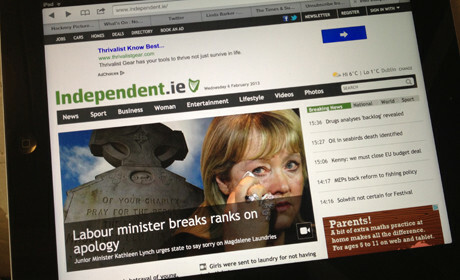 The Irish Independent newspaper has unveiled its redesigned website, as part of a new strategy across all Independent News & Media titles to "improve the digital offering". An announcement detailing the changes says the new layout offers "more video, pictures and social features and reduced clutter". It adds: "The redesign will see news updated more quickly and more often. It will also allow easier navigation and better sharing of stories with family and friends." Speaking to Journalism.co.uk chief innovation officer Ronan Price said the company is "moving more strongly towards cross-platform publishing and integrating newsrooms". This has seen the news outlet "leveraging all of our news resources to publish both in print and on the web", he added. Discussing the new design Price said it is "a cleaner look, more easy to navigate", having "done away with some of the clutter that had built up over the years". The company carried out reader research last year to help inform the direction of the changes. This included a desire for more video and sharing tools which has been built into the new design. Changes also include a 'read more' tab on articles, to enable users to choose how much of the article they wish to look at and to avoid an "endless scrolling news article page". Price added that the news outlet is also now "looking at revamping our apps and bringing new innovations to the app space". According to a quote in the online announcement, chief technology officer Patrick Lenehan said the company's other "17 local news websites" have also been relaunched. The announcement also details the company-wide "strategy to improve the digital offering". 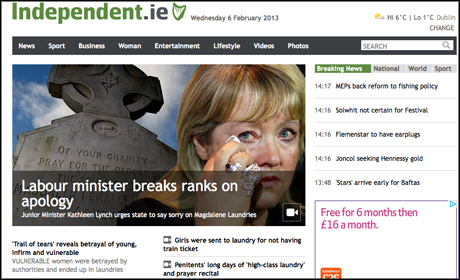 As part of this strategy, "digital editors and reporters have been moved into the newsroom of the Irish Independent and take part in daily editorial meetings", the announcement states, adding that there have also been new recruits and that reporters have been moved "into the digital unit."